MENLO PARK, Calif., May 16, 2014 /PRNewswire/ — Facebook today announced updates to FbStart, a program that provides mobile developers with free tools and services to help their startups succeed. Introduced two weeks ago at Facebook’s f8 developer conference, FbStart was initially open only to developers who attended the conference. With today’s news, developers around the world with public iOS or Android apps can apply. Startups accepted into FbStart will receive credits for Facebook ads and Parse services, plus free tools and credits from FbStart partners to help with product testing, recruiting, customer care, video conferencing, document management and more. As part of today’s updates, Facebook also added two new partners to the group of those offering their tools: Transifex helps apps localize for different markets, and HootSuite assists companies with social media monitoring. 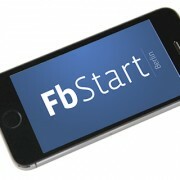 FbStart is an extension of Facebook Platform’s mission to help developers build, grow and monetize their apps. By providing mobile app developers with the essential services they need to get their businesses up and running—or to take them to the next stages of growth—Facebook hopes to help expand the overall app ecosystem. To learn more, and for interested startups to apply, go to fb.me/start.